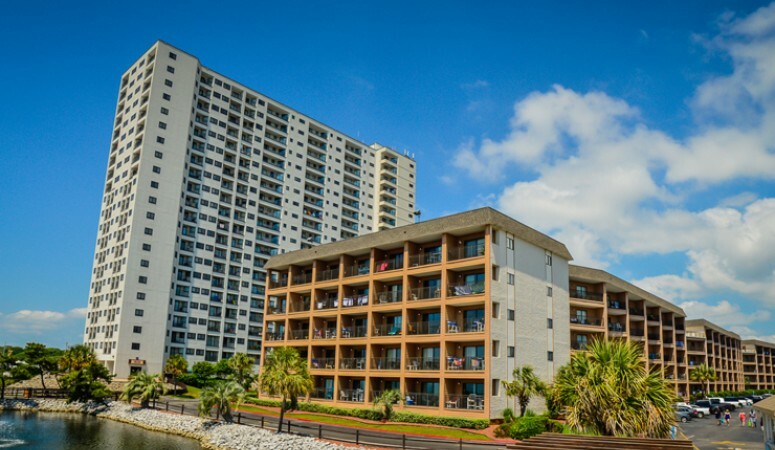 For the ultimate resort experience, Myrtle Beach Resort has delighted Grand Strand travelers with splendid accommodations and an amazing array of resort amenities located right along the Myrtle Beach coast! 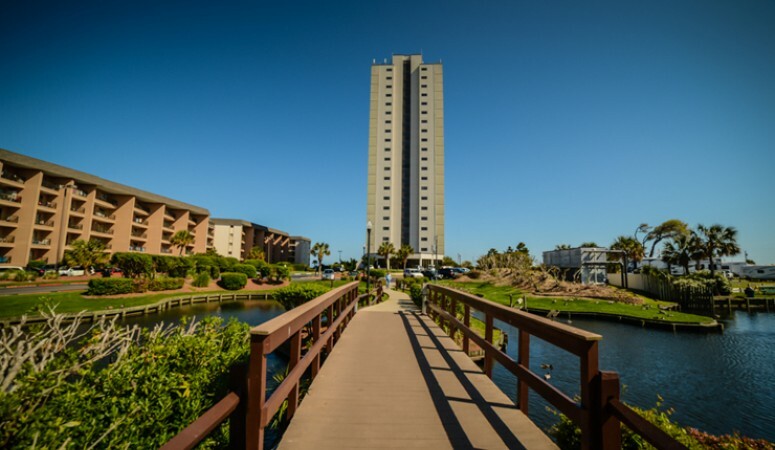 Travelers can choose from studio suites, one bedroom and two bedroom rental condos located oceanfront or oceanview within the Ocean Spa, Ocean Pool and Renaissance Tower facilities. Myrtle Beach Resort also offers modern two bedroom rental condos only a short walk from the beach at the beautiful Five Seasons resort. These spectacular rental condos and suites offer standard conveniences like fully-equipped kitchens, cable television and complimentary high-speed wireless internet. 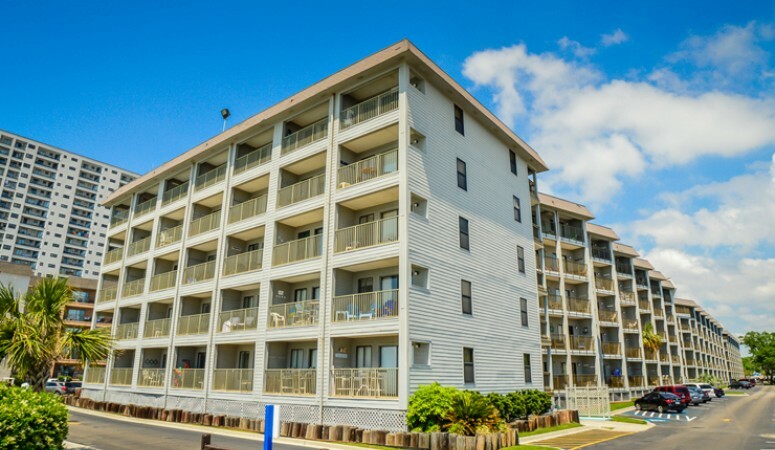 All rental condos and suites also offer private balconies, with oceanfront and oceanview units treating guests to breathtaking views of the Atlantic Ocean and Myrtle Beach coast. 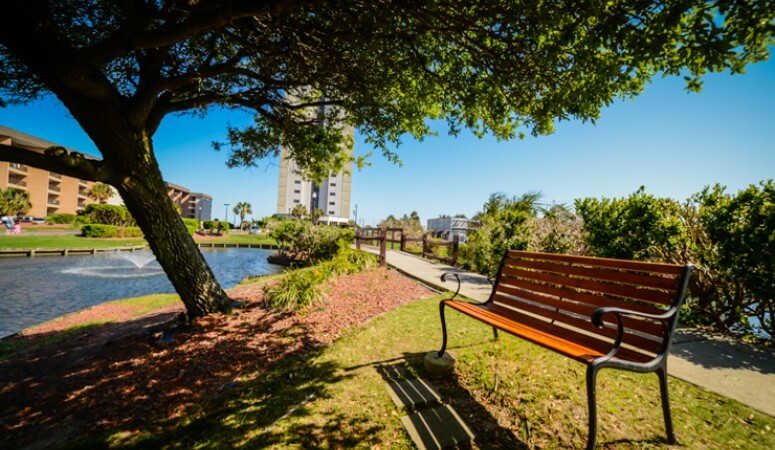 Around Myrtle Beach Resort, the opportunities for fun and relaxation are nearly endless! Myrtle Beach Resort's splash area is famous for huge 375-foot lazy river and kids water attractions like splash umbrellas and buckets. 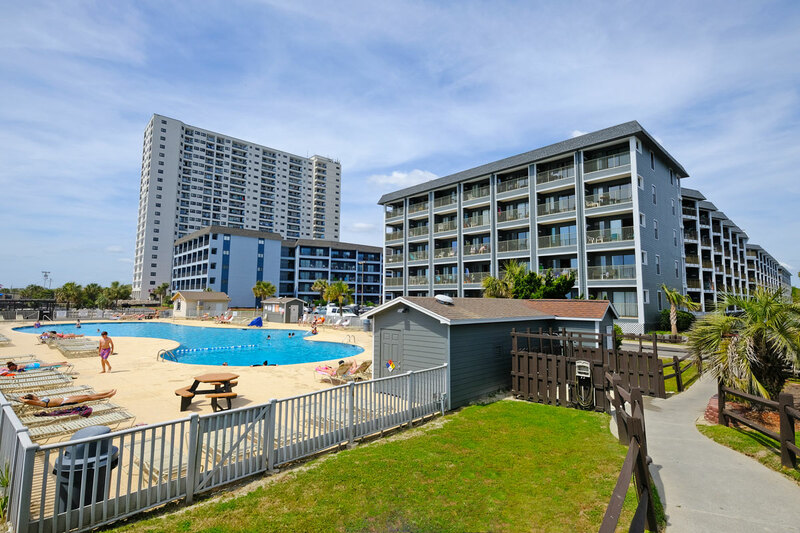 Guests of all ages are sure to love the multiple outdoor pools and Jacuzzis around the area, including one of the largest oceanfront outdoor pools in all of Myrtle Beach! 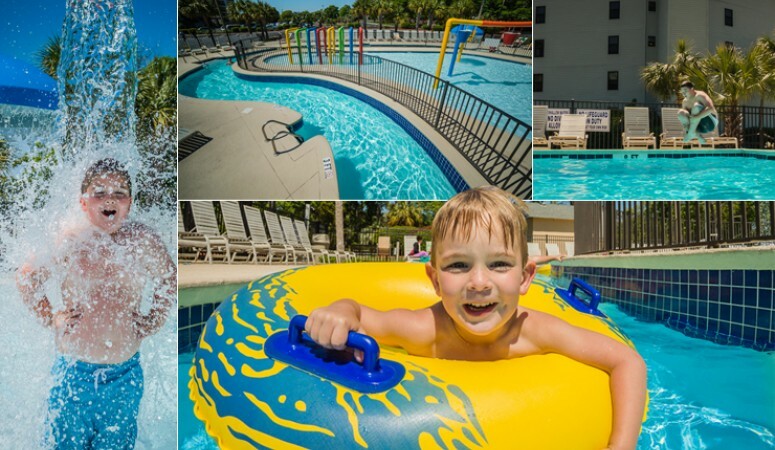 In addition to all the outdoor pool facilities, Myrtle Beach Resort also offers two indoor pool areas and two indoor whirlpool spas. 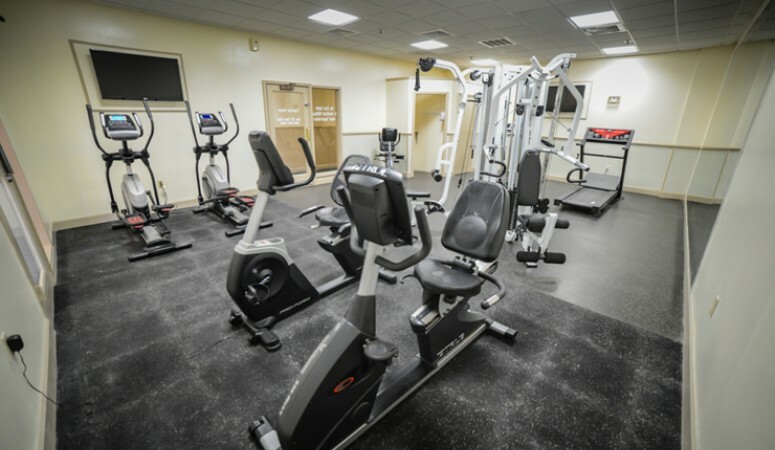 Fitness enthusiasts are free to enjoy a well-equipped gym and sauna area. 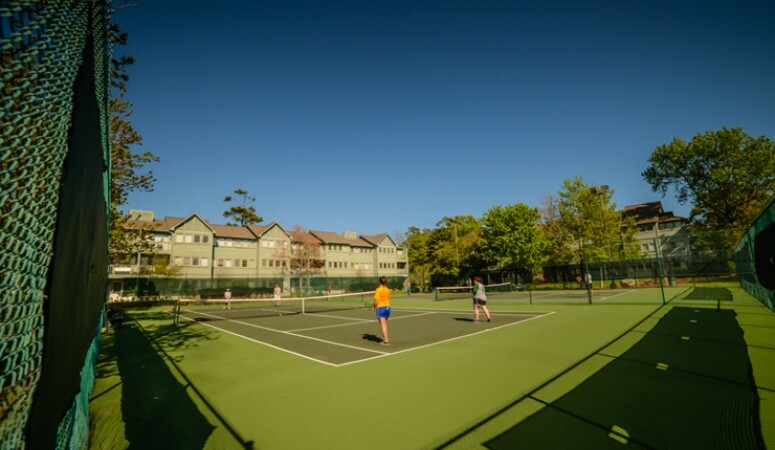 Lots of friendly competition can be had at the resort's basketball, sand volleyball and tennis courts. 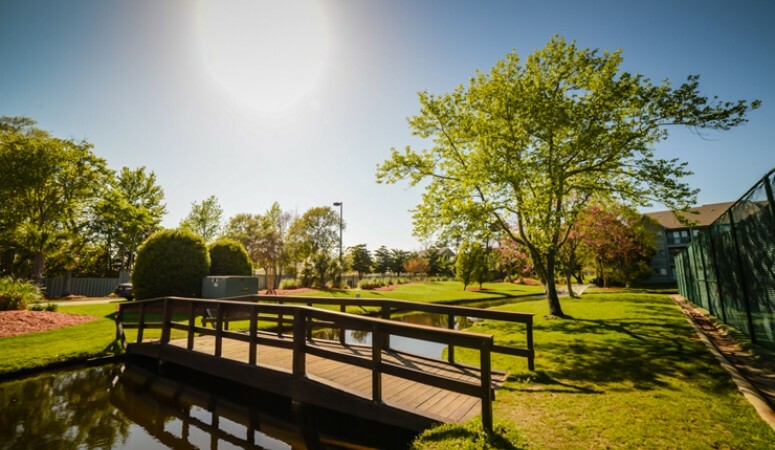 Families are able to congregate at the playground and picnic area, with charcoal BBQ grills available to guests. 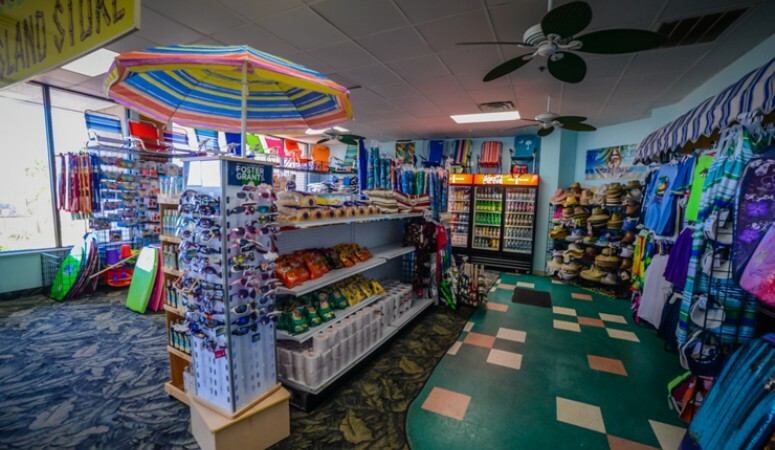 There are even several snack bars and a full-service convenience store at the resort (open seasonally). And when the sun goes down, the party's just beginning at The Quarter Deck, Myrtle Beach Resort's oceanfront bar and grill, home to frosty beverages, tasty meals and live entertainment nightly. 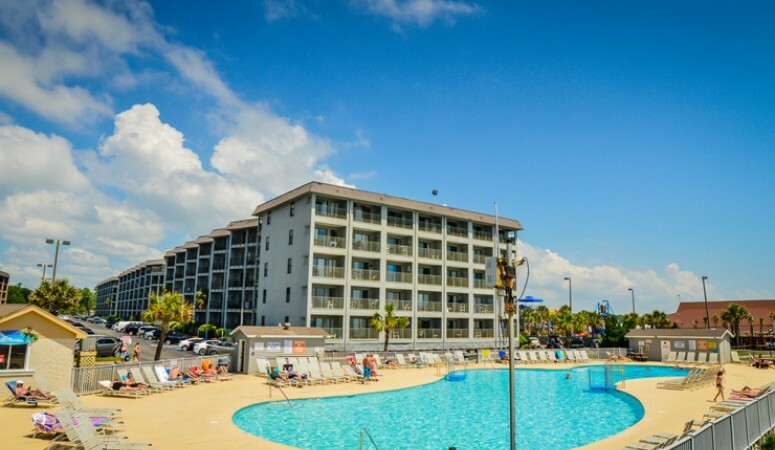 Along with the impressive accommodations and fantastic amenities available at Myrtle Beach Resort, guests are also treated to unbeatable location along the Myrtle Beach shoreline and near the area's most popular attractions. Destinations like the Myrtle Beach Boardwalk, Family Kingdom Amusement Park and Wild Water and Wheels are only a short drive away. Myrtle Beach Resort truly offers guests the total Myrtle Beach vacation experience. No matter the time of year, it's always the perfect time to visit Myrtle Beach Resort! Great packages & special deals below brought to you by Beach Vacations & Myrtle Beach Resort.